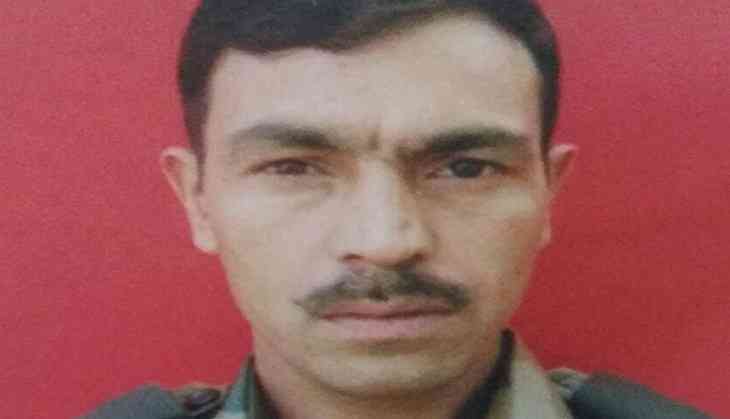 The Indian Army has condoled the killing of soldier Lance Naik Mukhtar Ahmad Malik by terrorists in Jammu and Kashmir's Kulgam district. The Army said that they stand in solidarity with Malik's family and assures full support to them. "All the ranks condoles the death of Malik who was killed in a dastardly act by the terrorists on Monday at his native village Shurat in Kulgam. The Army stands in solidarity with Malik's family and assures full support at this hour of grief and in future," the Indian Army said in a statement. On Monday, the terrorists barged into the house of Malik, who was on leave to perform the last rites and to grieve the untimely demise of his son in an accident a few days ago. The terrorists then shot at him from a close range.